SUVs are really the flavour in India but one can’t forget about the MPV segment, which really consists of some great cars for the big Indian families. 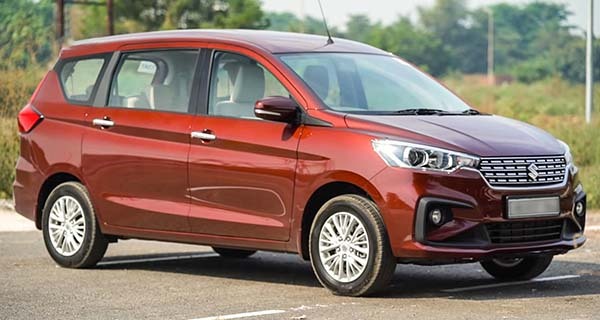 There’s been a little bit of action in this segment with Mahindra launching the Marazzo and now after 6 long years, Maruti have launched a brand new Ertiga. 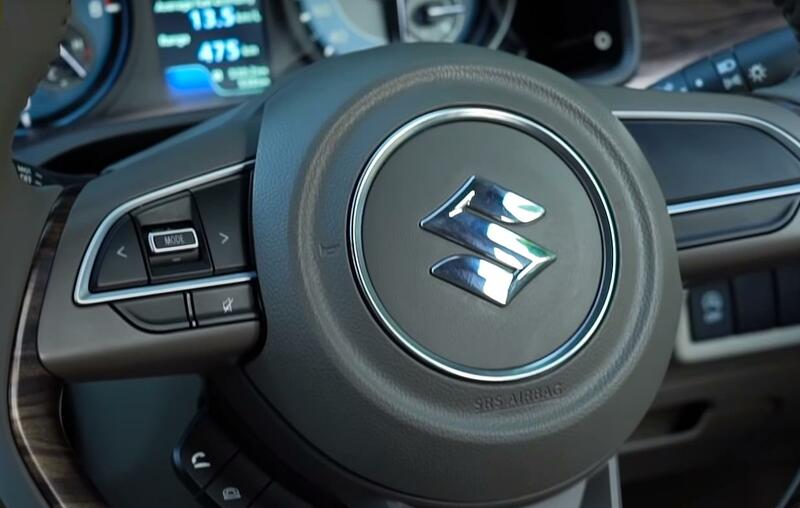 They’re not deviating too much from the strengths of this car and the essential formula, but this time around they’ve aimed to make it more desirable to the large Indian family as opposed to just fleet and taxi operators. Let’s dive in and find out what’s new. 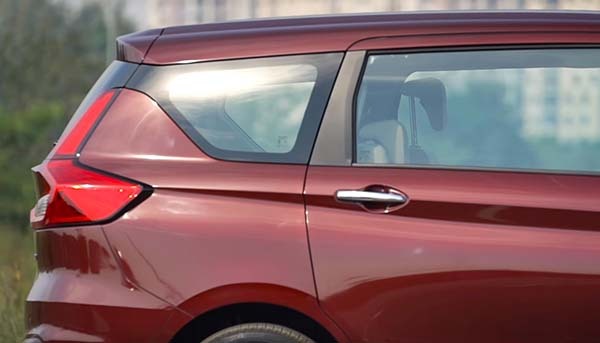 The new Ertiga has grown in length, width and height and visually it does look bigger. 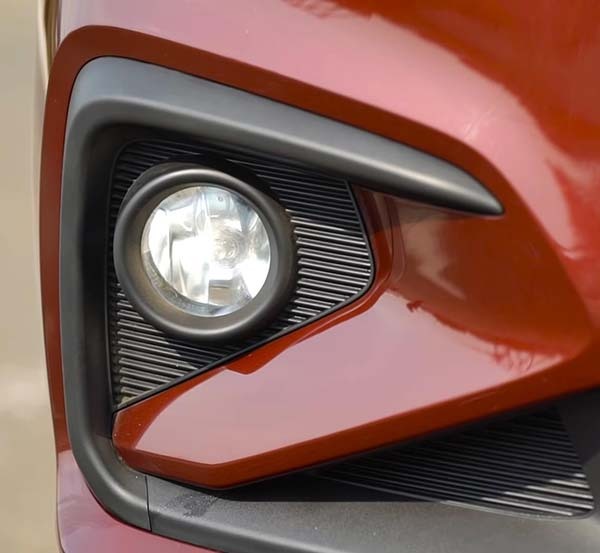 The front end now gets a sharper nose adorned with a large chrome grille. The sleeker Wrap-Around Headlights amplify the width and Fog Lamps encased in Black get a dramatic body coloured slash across. The contours are all sharper, the crease is more pronounced and that lends it a sporty air. Around the sides, the C-Pillar now gets styled to give it the look of a floating roof and at the rear, a chrome bar extends right across. There are snazzy tail lamps that look like they could be from a Volvo and overall it looks well-proportioned and the styling makes a dramatic difference. 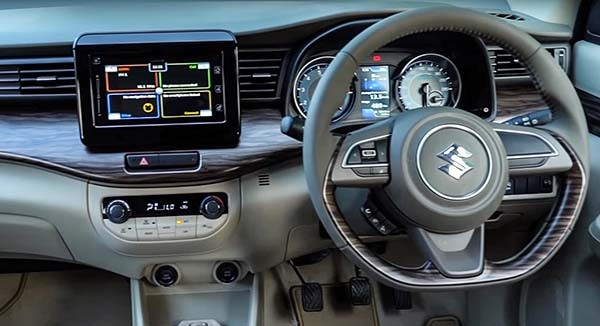 It is the first step in making it more desirable to families instead of fleet and it definitely works.The interior of the Ertiga looks much nicer now, in fact when you get inside it feels a lot more premium than it was before. You have a nice flat dash which is in sort of a triple-tone with the gray, the wood inlay and the beige at the bottom. The wood is still a little bit plasticky but honestly at this price point this still looks really good. 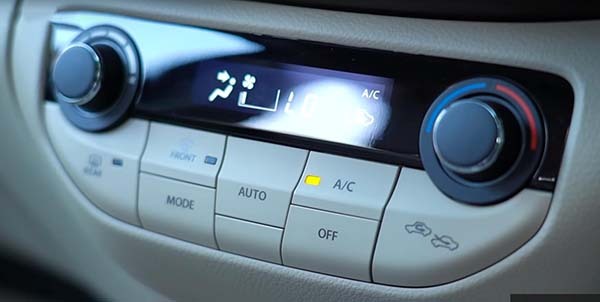 There’s a nice for AC vent that runs right across the dash giving it a good amount of width. 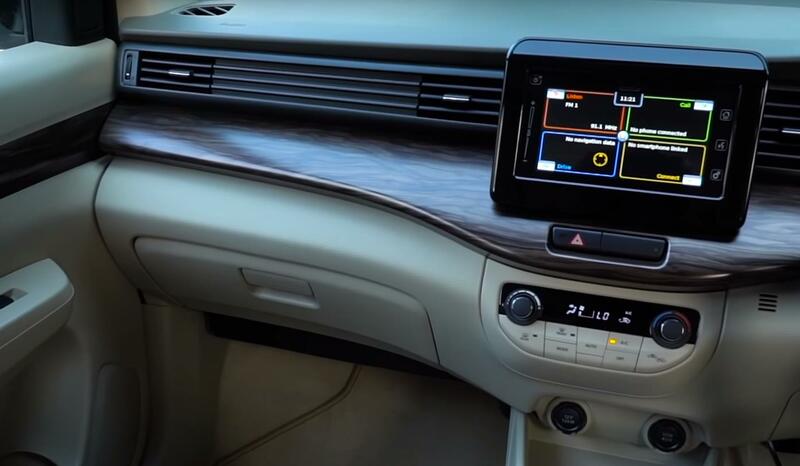 You get the touchscreen infotainment, you get climate control, you get steering mounted controls, you have nice big dials with the info display in the middle that gives you a series of functions as well. The front seats are much wider now, very comfortable to be in and overall this interior feels much better than before. Things like the leather wrap steering, the cooled cup holders, automatic climate control just build on the premium feel of the new interior. 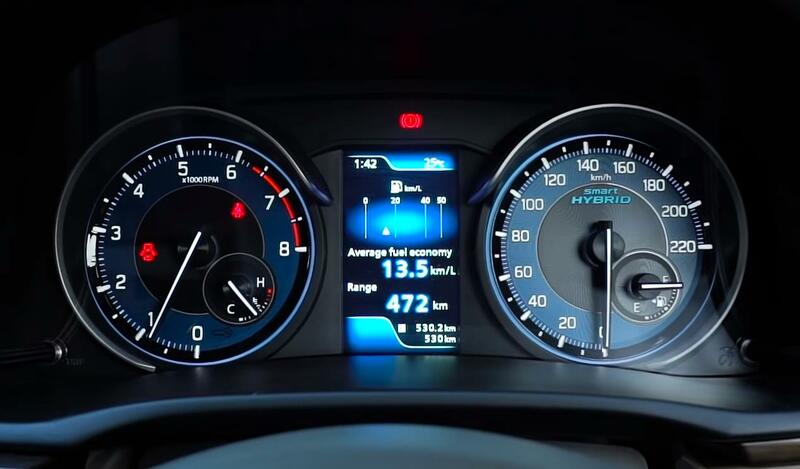 The multi-information display emits the dials has plenty of information and even has cool displays of power and torque being used along with the regular average fuel consumption, date and time. 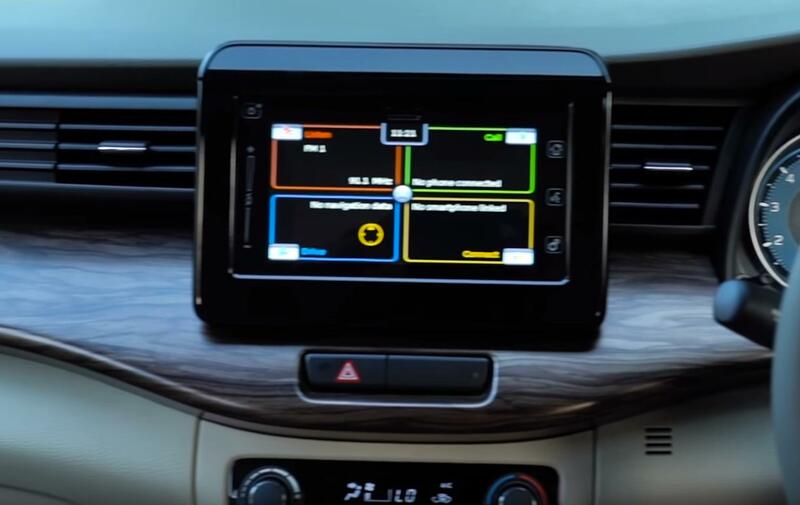 The infotainment system has Android Auto, Apple CarPlay and Mirror Link and it also has inbuilt navigation. 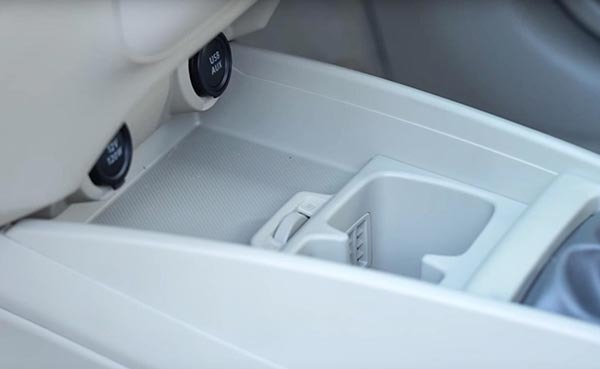 There are plenty of storage areas in the door pockets for all of the rows and there is a nice flat area in front of the gear lever to store your phone as well. 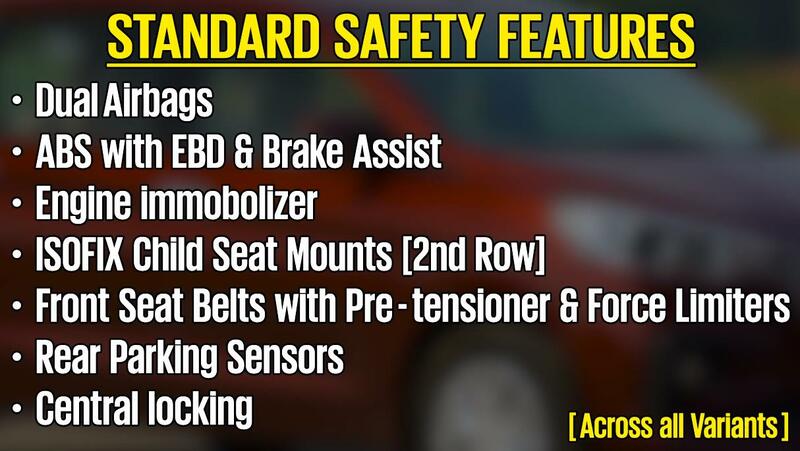 Take a look at the safety features on the Ertiga in the above image. 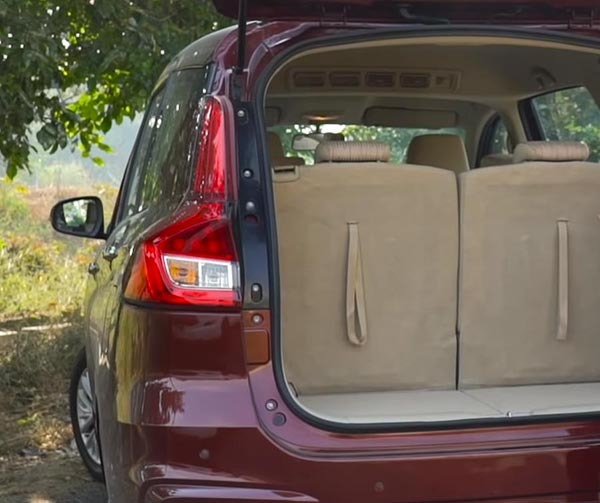 The large rear doors of the Ertiga means ingress is very easy into the middle row. Not only that the seat is quite low so actually you can just slide in, you don’t even need to climb in. That’s a good point and now this middle row has a single touch tilt-and-slide functions so getting in to this third row is also much-much easier. 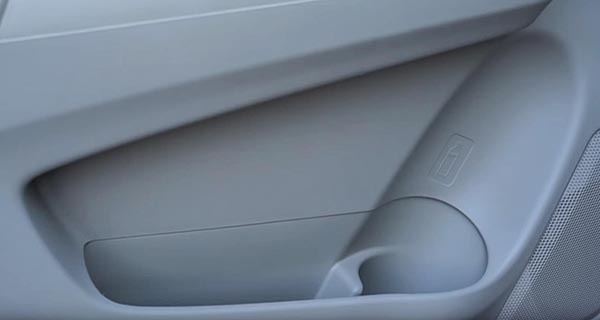 It has the cup holder, It has the charger and also quite a large window area. So honestly, this third row is a big improvement from before. 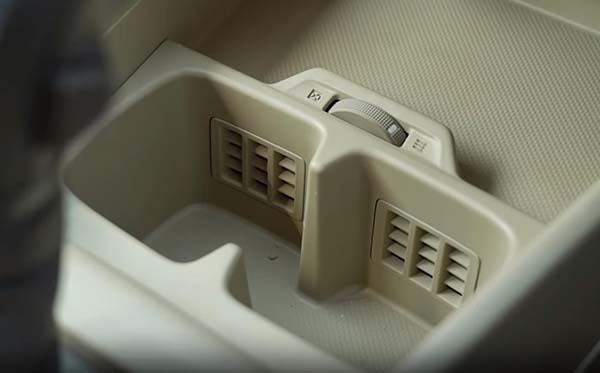 The rear seat also has a recline function which means third row passengers can really get comfortable, but what does that mean for the boot space. Now when one’s buying a larger car of course boot space is important and in this one even with the third row up you have a reasonable amount of space. There’s this cool storage area underneath the boot at the back where you can actually keep some parcels keep it hidden so if you parked your car and you want to go somewhere; it’s a nice storage area. 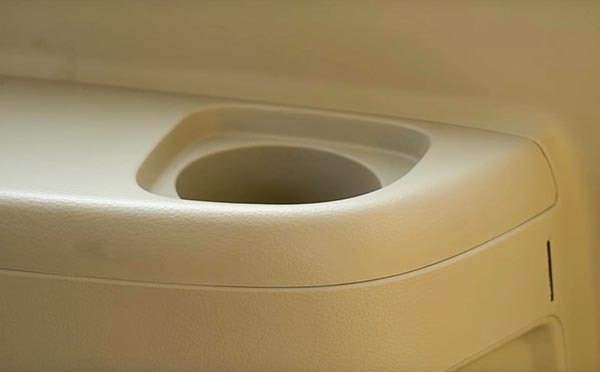 It has the split lid so it’s convenient to access as well and of course once you flip down the seats you can open up more room. All the variants were on the offer to drive so we opted for the popular people’s choice first – The 1.3-Litre Fiat sourced Diesel Engine that has 90 HP and 200 Nm of peak torque. 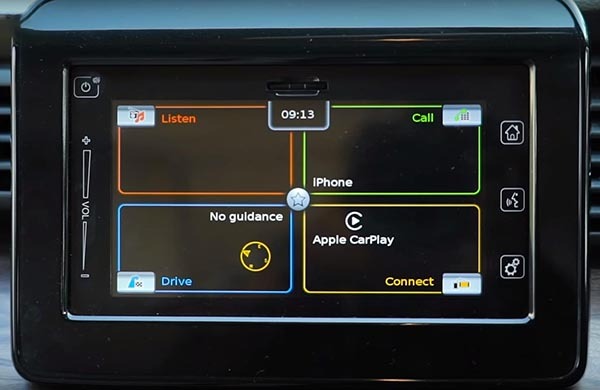 The initial impression from behind the wheel is you know that it seems quite car like actually to drive now because of this flat dashboard and it gives you great visibility. But it’s got a nice high seating position so it gives you the commanding feel as well. Now this engine is one that’s been around a long while for Maruti it’s the tried and tested diesel, it’s now feeling quite old and it continues in this Ertiga. It’s noisy it has the same characteristics as before and there is a bit of lag. You do have to work the gears to get it going and power kicks in really after about 2000 rpm. You have to really work this engine to get to triple digit speeds. Once there, it cruises comfortably however overtakes do require gear changes especially if you’re fully loaded, other than that the clutch is light and easy, the gearbox has a short positive throw and is light enough to use as well. So overall, drive in a relaxed manner and it feels just fine. It just doesn’t like to be hard. The steering has more heft now and overall the car just feels more solid, more stable, more planted whether you’re going around the corners or whether it’s higher speeds in a straight line. The Ertiga feels more impressive now and out on the road it actually gives you the feeling of being a bigger MPV. After finding out what it was like to drive it was time to hop over to the backseat to see what it’s like for the passengers. 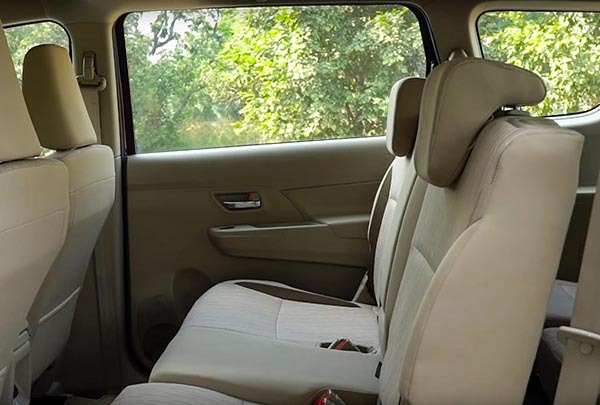 The increased dimensions can be felt here in the backseat you have more room there’s more legroom, the bench is wider so a third passenger will fit in very-very easily and of course the flat floorboard means third passenger has enough legroom as well. These large windows make it nice, open and airy. You sit high, you’ve got good visibility to the front and of course you’ve got the blowers here for the rear seat, a little close to the head but fact of the matter is they will keep you cool. 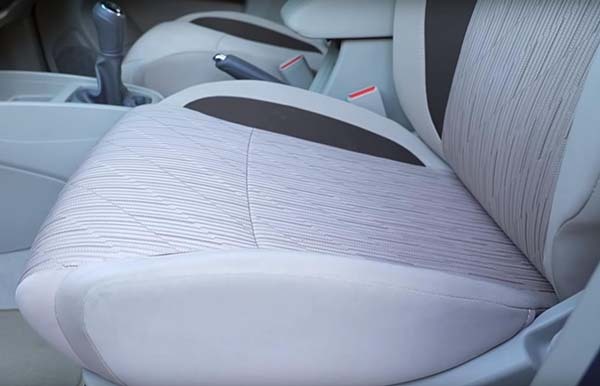 Well space is one of the things that’s necessary to be comfortable in the back seat and what’s also important is the ride quality. 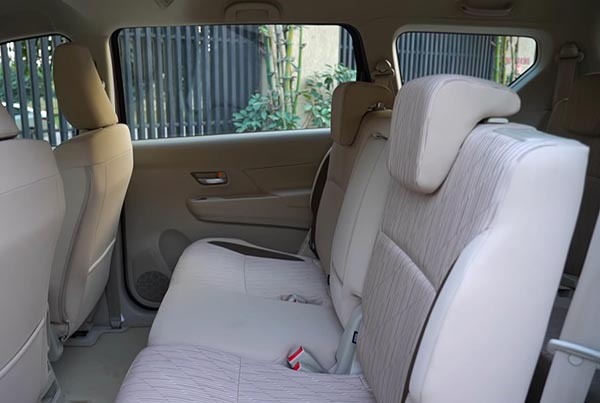 Now the right quality of the Ertiga is actually quite good there’s a bit of underlying firmness when the cars empty but when it’s fully loaded that goes away just absorbs bumps and potholes really well, so overall you know with the space and a good ride quality this back seat is a very comfortable place to be in. The Ertiga was ticking all the right boxes and next up we hopped into the Petrol version which has the K15 1.5-Litre that we have seen in the Maruti Ciaz. The Petrol has two variants – a Manual and an Auto, but we focused on the Auto since its new. The Ertiga gets an Auto-transmission now. It’s a 4-Speed and it actually works quite well, shifting quite smoothly. Gentle dabs on the throttle bring up downshifts and they happen quite quickly so the gearbox works really well. You have the different modes that you can use. When it is in overdrive mode even gentle dab on the throttle will bring up a downshift because it’s generally shifting gears up much quicker and keeping you driving in a very economical manner. However switch the overdrive off and then it pulls much more stronger in each gear and it doesn’t shift every time you accelerate a bit. 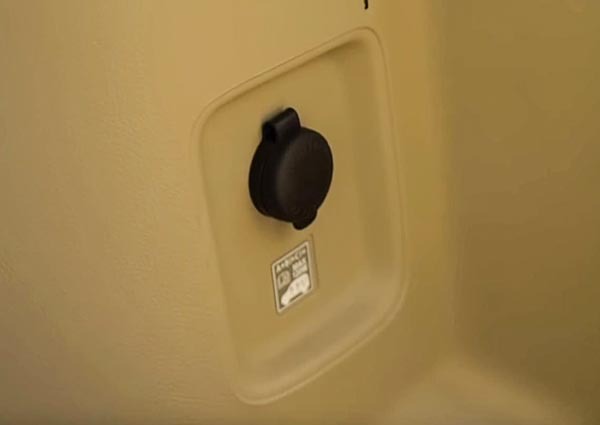 You also have the low mode where if you extend your foot it’ll just keep pulling and pulling and pulling and won’t shift till I want to, a handy feature if you’re traveling with a full load maybe up a hill and you want to hold the gear. The petrol engine is silent at idle and feels refined enough at low revs, but once you press hard down on the throttle then it does become audible. This Petrol engine feels pretty similar to what it does in the Ciaz. It pulls off the line cleanly and it’s got a bit of a flat mid-range, but overall it gets up to triple digit speeds quite nicely easy, driving it in a relaxed manner without pushing it too hard. And honestly it does really well and overall it feels like the better of the two engines. Overall the Ertiga has grown and it feels like a far more mature product now. The Ertiga has retained some of the weaknesses that had earlier, like the diesel engine and even the petrol is really not exciting. 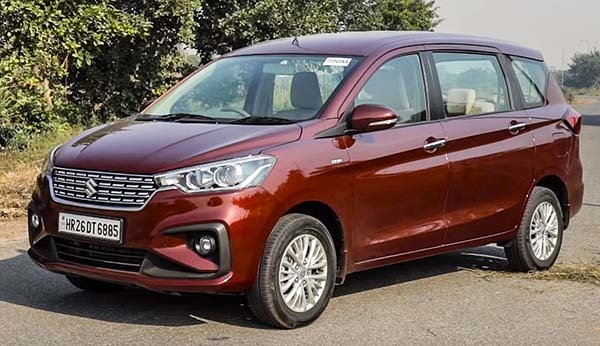 But though lacklustre both engines do the job and they easy enough to drive and let’s face it this segment is far more about practicality than it is about anything else and that is where the Ertiga really scores big. The interiors have grown and are more spacious now and of course it has that 7-Seater option. The interiors feel more premium you get more features and it was always a comfortable car to be in. So now it’s more appealing to the personal buyer, and of course the Ertiga is great value as well. The fact remains that for the large Indian families there isn’t a 7-Seater that is this premium and this practical at this price point.